A British woman claims to have the ability to tell if someone has Parkinson's disease by sniffing their odour. Scientists have begun research into whether a person's odour can be used to diagnose Parkinson's after a "supersmeller" detected the disease by sniffing T-shirts. Researchers from the University of Manchester will analyse skin swabs taken to discover if the debilitating disease changes chemicals found in the skin, according to Parkinson's UK. The study was launched after a Scottish woman, named in reports as Joy Milne, successfully identified sufferers by smelling T-shirts they had slept in. She could even detect subtle changes in smell in people who had not yet developed the condition. Parkinson's, a disease of the central nervous system, causes progressive tremors, stiffness and slowness of movement. Currently there is no cure. Sufferers include comedian Billy Connolly, who was diagnosed in 2012. 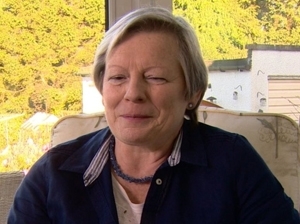 Mrs Milne's husband Les died in June after being diagnosed with Parkinson's, according to the BBC. She told the broadcaster: "His smell changed and it seemed difficult to describe. It wasn't all of a sudden. It was very subtle - a musky smell." The 65 year old made the link with Parkinson's only after meeting other sufferers and happened to mention it to a scientist at a talk, prompting tests which found her sense of smell was accurate. Parkinson's UK, which is funding the research, hope to find a link which could lead to earlier diagnosis. The charity estimates there are around 127,000 people with the disease in the UK. Arthur Roach, director of research at the charity, said: "Funding pioneering studies like this has the potential to throw Parkinson's into a completely new light. "It would make it a lot easier to identify people to test drugs that may have the potential to slow, or even stop Parkinson's, something no current drug can achieve." Scientists believe that Parkinson's may cause changes in the sebum - an oily substance in the skin - that results in a unique and subtle odour on the skin only detectable by people with a keen sense of smell. The team will recruit up to 200 people with and without Parkinson's to have a skin swab taken and fill in a brief questionnaire, before the samples are analysed by the "supersmeller" and experts from the food and drink industry.